Li-Jung Lee is a visiting lecturer of Chinese. She teaches non-heritage Chinese and heritage Chinese courses. Before joining the Department of Asian Studies at UBC, she taught Chinese at Wake Forest University in North Carolina, USA, and developed a new proficiency test and learning materials at the Division of Research and Development in the Steering Committee for the test of Proficiency – Huayu in Taiwan. Li-Jung believes learning should be meaningful and fun. It will help learners overcome their frustrations and make them become life-long learners. For her, the satisfaction of teaching is that students immerse themselves in Chinese happily and share their ideas with people in Chinese confidently. 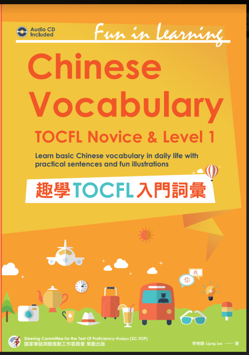 Fun in Learning Chinese Vocabulary: TOCFL Novice & Level 1 – Learn basic Chinese vocabulary in daily life with practical sentences and fun illustrations, published by Steering Committee for the test of Proficiency – Huayu. Integrated skills in modern Chinese. Focus on reading, writing, and better understanding of Chinese culture. Credit will be granted for only one of CHIN 341 or CHIN 211 or CHIN 344. Continuation of CHIN 341. Credit will be granted for only one of CHIN 343 or CHIN 213 or CHIN 344.